We are excited to announce the partnership between the UNC Panhellenic Council and the UNC Eating Disorders Program! 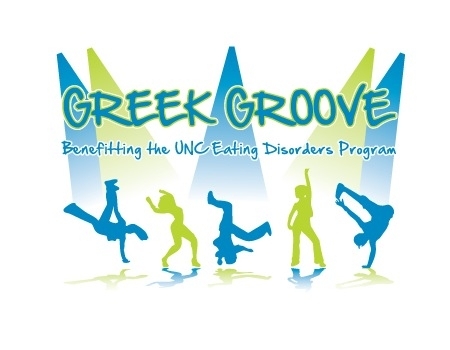 The Eating Disorders Program will be the primary beneficiary of the first annual Greek Grove fundraiser, a dance competition among the 11 Panhellenic sororities at Carolina. Each sorority formed a team of 20 dancers and they will be presenting a 2 minute choreographed routine to music of their choice. The first place team will receive $1,000 toward their philanthropy and the second place team will receive $500 toward their philanthropy. These young women have been planning and practicing their moves all semester, so we are all in for a great show! The newly elected senior class presidents, Dean Drescher and Mohammad Saad, will be emceeing the event. Our very own Dr. Cynthia Bulik will be a one of the judges, joined by president of the Interfraternity Council and the editor-in-chief of the Daily Tar Heel. Greek Grove will be held on April 12th at 7 PM in Carmichael Auditorium. Tickets are $5 and they can be purchased in advance by emailing Bekah Gould at bgould@email.unc.edu or at the Carmichael Box Office the night of the event. The event is open to the public and all are welcome. We hope everyone will take a night off from Dancing With the Stars and come watch our UNC sorority stars dance live! So, come on out and show your support for the UNC Eating Disorders Program and the sorority dance teams and experience some eye-popping dancing at the Carmichael Auditorium on Tuesday!